Home » Debug » System in read-only mode CTRL-D ? 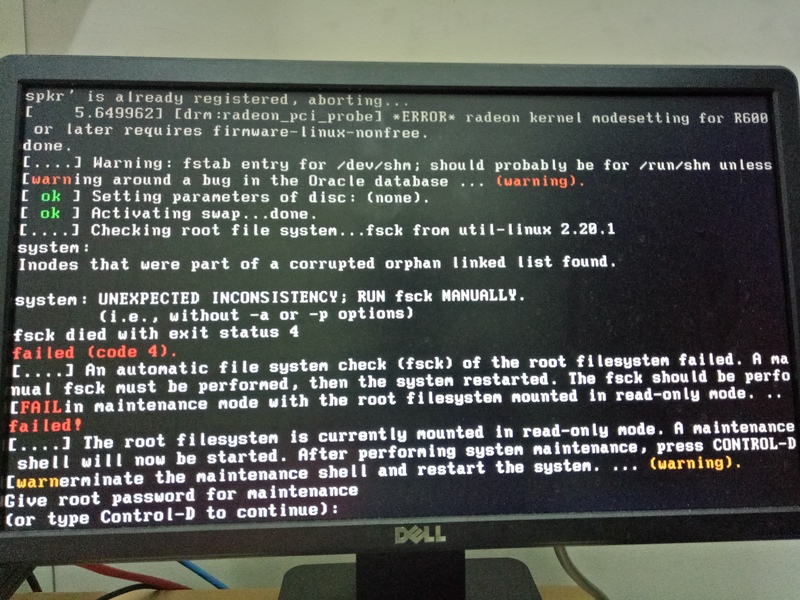 When booting Artica, you receive an error [….] 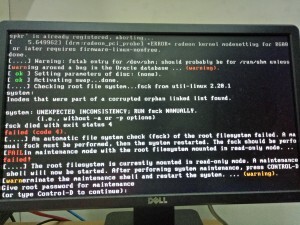 The root filesystem is currently mounted in read-only mode. A maintenance shell will now be started. 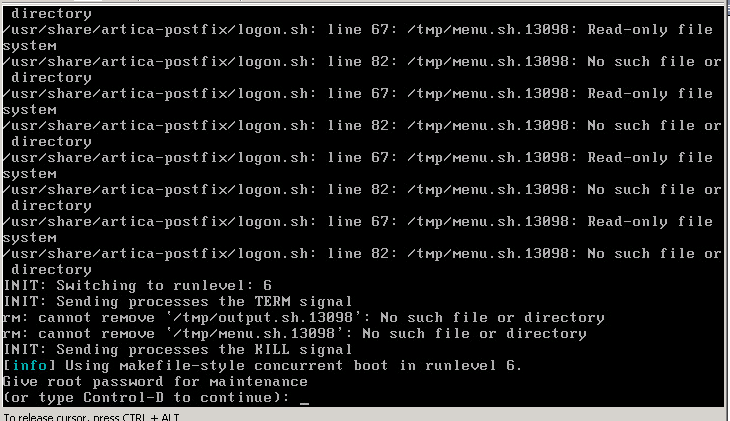 After performing system maintenance, press CONTROL-D to terminate the maintenance shell..